In modern day research, dissemination is key and it is therefore always nice to see research results being shared with the public in new and unforseen ways. Our work within the Web for Regreening in Africa (W4RA) is now part of a exhibition in the Museon museum in the Hague. The exhibition focuses on the United Nations’ 17 Sustainable Development Goals (SDGs) for 2030. As content partner of the Museon, the W4RA programme of VU has contributed ideas, visuals and texts for the exposition related to SDG No. 15, entitled “Plant in het Zand” (Plant in the sand). From the press release: Land degradation and desertification are increasing due to both natural and human causes, including climate change and population pressures. Areas can no longer meet the needs of their populations, with famine and poverty as a result. There are various solutions, but regreening – the natural (re)generation and protection of trees by local farmers themselves – is a highly successful one. Belts of trees act as windbreaks, helping to stop soil blowing away, keeping it moist for longer, and providing a micro-climate that is better for people, animals and plants. Trees also provide food and many other economically useful products. Within the W4RA programme, we integrate local ICT web and mobile app innovations to support local knowledge sharing around regreening efforts. The Fourth International Workshop on Downscaling the (Semantic) Web (Downscale2016) will be co-located with the 4th International Conference on ICT for Sustainability (ICT4S). The workshop will be Aug 29 in Amsterdam, The Netherlands. Downscale2016 follows success of previous Downscale workshops and will mostly focus on appropriate infrastructures. Instead of using large-scale centralised approaches to data management we look at breaking data-centric architectures into smaller components that consume less electricity, be cheaper to own, and more flexible than a “big server” while still mimicking, as a swarm, the features one such big server would provide. 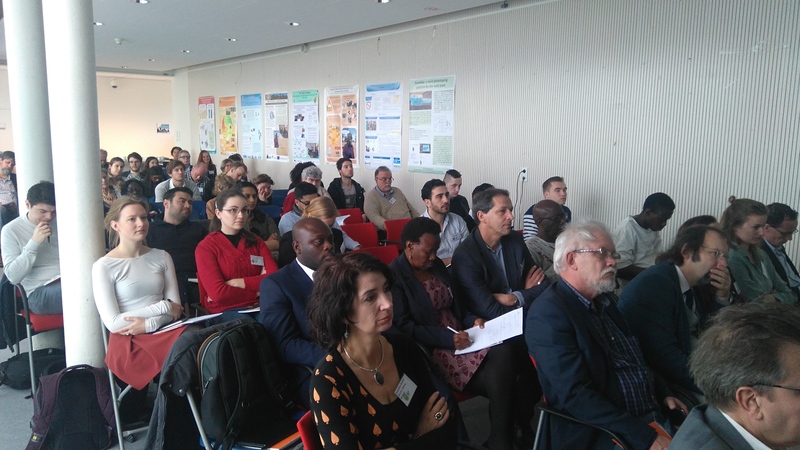 As such, the workshop matches ICT for Development (ICT4D) goals with ICT for Solutions (ICT4S) and we expect that the dialogue between ICT4S, Semantic Web and ICT4D researchers and practitioners will further each of the research fields. We are currenty inviting both short papers (6 pages) or abstracts (2 pages) describing current or late­breaking research in ICT4D. These papers will undergo a light ­review procedure. For more information, visit the workshop web page. Freshly minted dr. Nana flanked by his two paranimphs receives the laudation from supervisor prof. Akkermans. 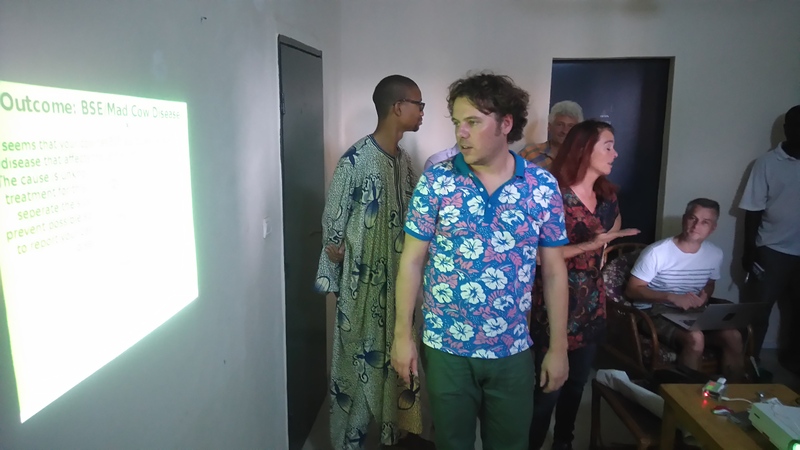 On 5 april 2016, Nana Baah Gyan successfully defended his PhD thesis “The Web, Speech Technologies and Rural Development in West Africa, An ICT4D Approach” in front of the reading committee at Vrije Universiteit Amsterdam. Dr. Nana worked as a PhD researcher mostly in the context of the FP-7 VOICES project and was supervised by prof. Hans Akkermans and dr. Victor de Boer. Nana investigated the history of speech systems in developing countries. He discussed and developed strategies for requirements harvesting for an instance of an ICT4D project under rural conditions, the results of which led to an actual implementation of voice-based ICT tools for rural farmers in Mali. Nana’s thesis is available online. His thesis furthermore deals with evaluating the impact of the project on the lives of stakeholders involved as well as the potential such tools and systems hold for future research. The thesis also discusses what ICT4D generally means for education in West Africa and beyond. You can read more about Nana’s research in his thesis [PDF] or on the http://w4ra.org site. 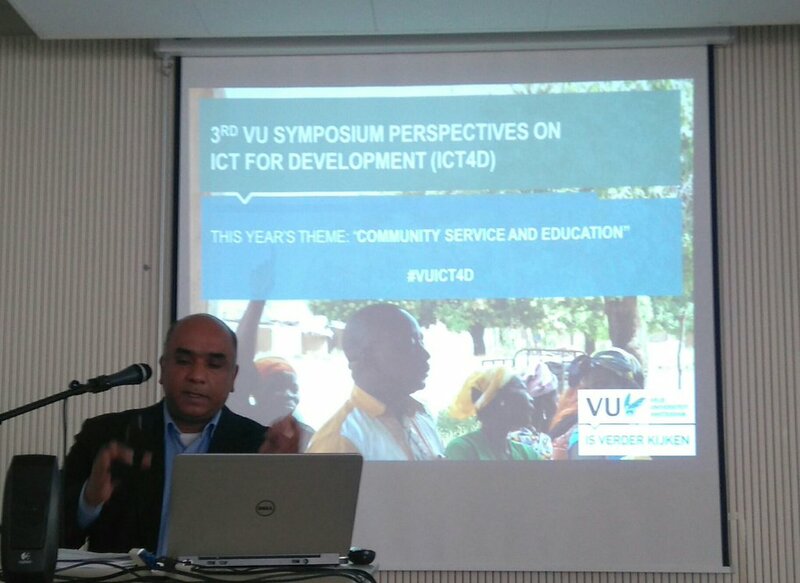 On 6 April 2016, the Third International Symposium “Perspectives on ICT for Development (ICT4D)” was hosted by the VU Network Institute, the Netherlands Research School for Information and Knowledge Systems SIKS, the Computer Science Department and VU International Office. This year’s theme was “Community Service & Education”. A great team of invited speakers from India, Ghana, South-Africa and the Netherlands discussed the merits, challenges and research agendas for ICTs for Development, presenting case studies from various contexts: rural development, health, and education. The symposium showed different technical solutions, including mobile technologies and small and cheap hardware to cope with local contexts in developing countries. Different speakers also discussed bottom-up methodologies designed for the local context to discover and co-develop interesting ICT solutions and services. You can watch the entire event through the recorded livestream as presented below. Speakers presented in blocks of 2 around a single topic or location and engaged in discussion after the second speaker. We here present a list of speakers, their timestamp in the recording (including a direct link) as well as PDF slides for their presentations (all rights remain with the original authors). 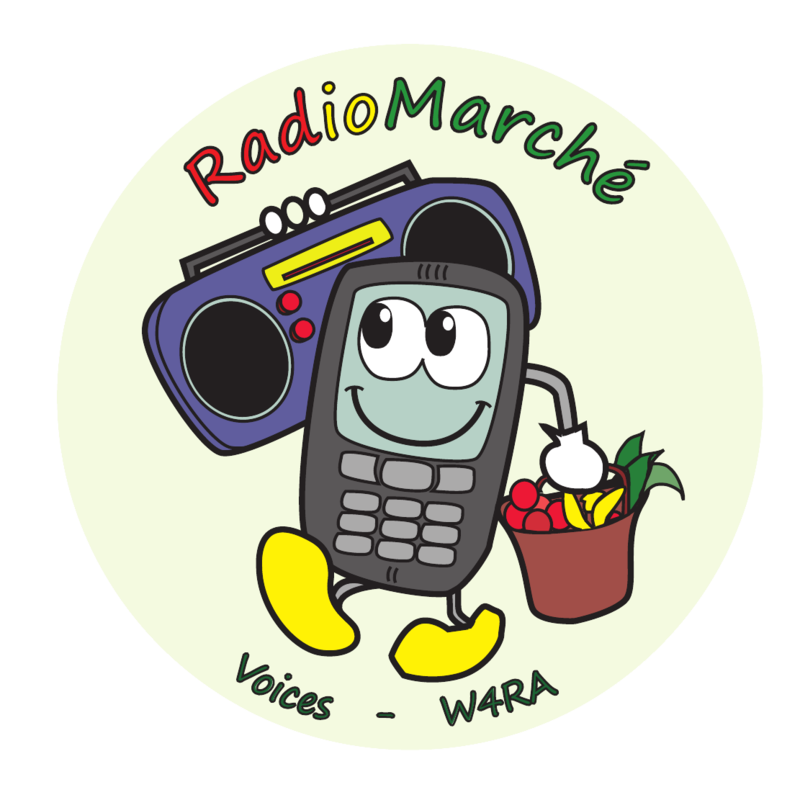 From 2010 on, I have been making logos for W4RA-related projects, for example for RadioMarche. I have had some request from people to reuse (parts of) the logo before and I have now decided to publish all the logos and the source files under an open license (CC-zero). This basically means I waive any rights I have. I think this makes sense as I developed these while subsidised with public (EU) money as a side-project. So feel free to reuse them as you wish. If you do, it is nice (but no legal requirement) to..
From 9-13 October, the W4RA team visited Bamako in Mali for the Nuffic-funded Tailor Made Training (TMT) workshop at the offices of AOPP (Association des organisations professionnelles paysannes). This association brings together agricultural innovators in the country. The attendees are very interested in using ICTs to improve communication and knowledge sharing among their members. Kasadaka in Bamako. This version has a built-in touch screen. Digivet demonstration. Alou Dolo from local IT club Yeleman is helping us. 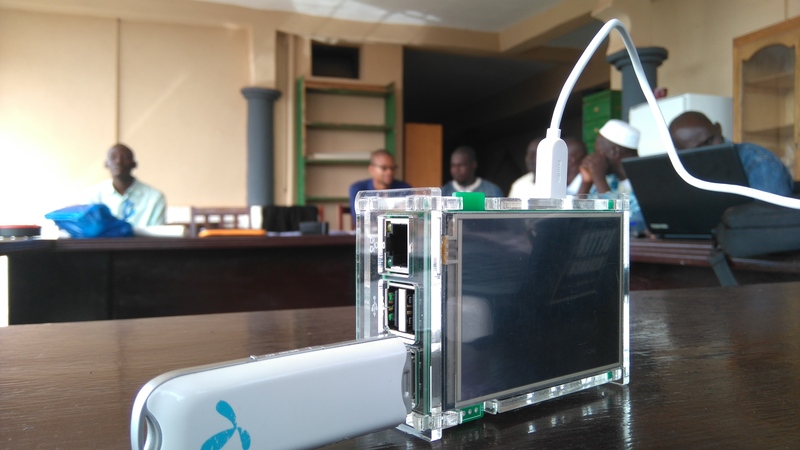 During the four-day workshop, we demonstrated a number of applications developed in the context of our W4RA research, including the VOICES demonstrators, Mr Jiri and the Kasadaka voice platform which was based on a Raspberry Pi. We also showed the DigiVet application developed by Gossa Lo. In a number of breakout sessiosn, the AOPP members then developed a number of new use cases. These included an information system for seed information. In various locations in Mali, farmers develop and enrich seeds (sesame, sorghum, etc.) and sell these to other farmers. These seeds are adapted to fit the local soil and climate. To improve the effectiveness of this seed information, better sharing of this information is required. Other ideas included a veterinarian service and a marketplace application. Field trip: visiting the champs ecole. We are standing inbetween sesame plants. 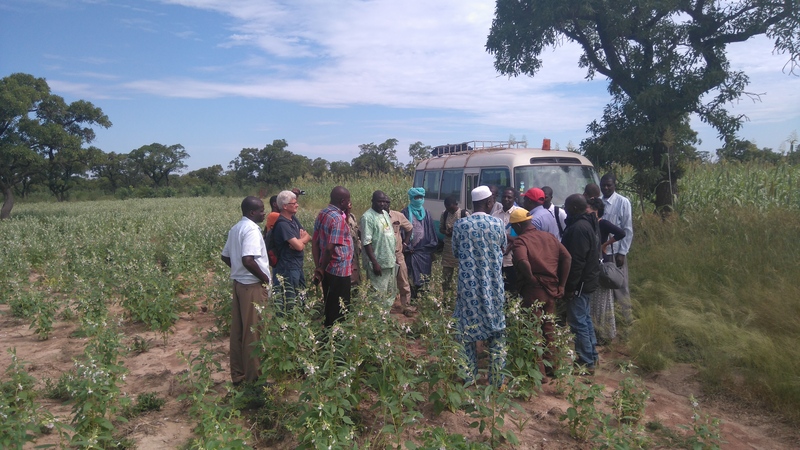 To deepen our understanding of the use cases and the local context, we visited a “Champs Ecole” (testing field) where new types of sesame and sorghum plants and new planting strategies were monitored. We also visited an organisation “Femmes en action” who organize trainings for local women on how to fabricate products out of raw plant materials, such as Baobab-bonbons and the always-delicious Bissap (Hibiscus lemonade). The head of the group, Fatim, was a very inspiring lady and she also showed us tubs full of fish that could be farmed in town residencies. We even got to take home some of the produced dried fish flakes. The final day we demonstrated a number of applications. Specifically, we showed a very early prototype of a voice-accessible seed market, as was explored in the workshop. For this, we used Kasadaka as the rapid-prototyping platform. It fulfilled its purpose quite well as the farmers were triggered by this demonstration ad provided valuable feedback and questions to further specify the use case and requirements. Of course, we are still running into some issues, specifically with regestering key presses (DTMF) on the Malian network. 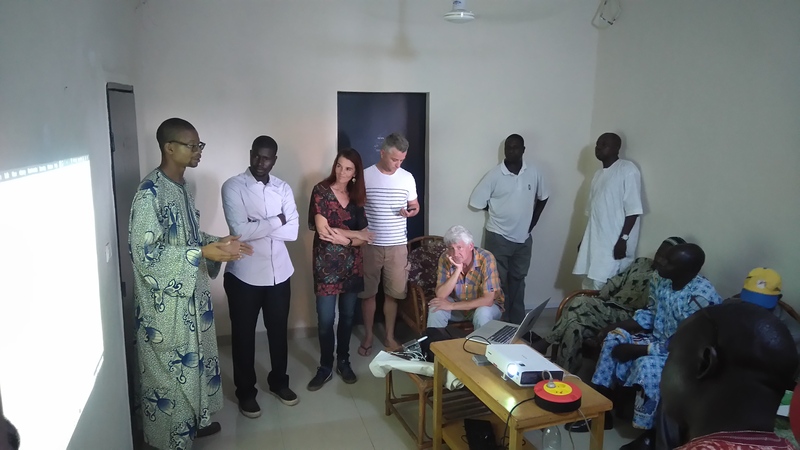 We also showed Senepedia.org, a wiki for agriculture (sene, in the Bambara language). In the next months, the AOPP staff will experiment with this wiki to register and share information that concerns their members. All in all, this was a very successful and inspiring meetup and we are looking forward to going back to Mali in the beginning of next year with new prototypes and demonstrations. “Last week I kept myself occupied with conducting two one on one interviews and two group discussions. On Saturday 14th of March I made an appointment for a focus group discussions for which I developed a specific topic guide aiming to discover if there could be more nuance added to the data I’ve collected thus far from the one on one interviews. Anthony Dittoh (the father of my translator Docras and brother of professor Saa Dittoh) helped me to organize the meeting. At least 20 people would gather underneath the large mango tree across the main road. The meeting would start at 09:00 and Docras en I left the house on that time. Because, this is Africa and here they have the time instead of the clock…. A little bit nervous we went on our way to the market. Unfortunately there were only two farmers present. The rest had to go to a funeral, to the market, had to feed their livestock and so on. Disappointed we went on our way home again. Monday 09:00 was the second attempt to get the first focus group discussion of the ground. We went on our way to the market again. This time we needed to wait again before we headed towards the mango tree. We waited in the small shop of Docras’ second mother (first wife of Anthony Dittoh). When the clock reached 10:00 we decided to go and have a look what was going on. Only seven people were sitting under the tree and I started to feel quite frustrated. We decided to stay and hoped for more to come. Eventually at 11:15 there were 25 people present and we had a fruitful discussion together. Tuesday I was supposed to have my second group discussions at the house of an important farmer called Fuzeni. However, Saa Dittoh called and asked me if I wanted to join on a fieldtrip with the team of the Water Land and Eco System project. Docras told me I should go and she would send her uncle to Fuzeni’s house in order to reschedule the meeting for thursday. So, at 08:30 I needed to be ready at the junction. A 40 minute walk from our house and Saa would pick me up there. Eventually they picked me up at 09:10 and went on our way. This trip would mainly be used for short stops in the target areas of their project. I didn’t get the chance to gather data for my own research, but it was interesting to see some other part of the Upper East besides Bolgatanga or Zanlerigu village. Wednesday I had an interview with two women from the market. However, one cancelled because her money had just been stolen and she was quite upset. I did one interview and could not get a replacement for the cancelled interview. Thursday Docras and I went to the farm of Fuzeni. It was a 45 minute walk from our house. Sometimes I really miss having the freedom to use any transport I want, but on the other hand I also consider it as some good early morning exercise. At 09:10 we arrived and already 30 persons were sitting under the large Mango tree. Many more were still to come and at the end we were with over a hundred people. It was a lively and lovely gathering. Noticable were the convincing majority of women. An explanation was that women take meetings more serious, another said that it was because men can marry more women and a final explanation was that men died sooner than women. Well, I still have my doubts. Maybe it is a combination of all, but that should be part of another type of research. Friday I interviewed a farmer who was into livestock rearing and selling. He struggled most with up-scaling hisbusiness. He didn’t had enough knowledge on how to farm pigs on a large scale and didn’t have the tools or capital in order to manage a large scale farm. He blamed the government mostly for this. They were the ones who supposed to help farmers who wanted to get into serieos agricultural businesses. Disappointed he added that most of the government officials only wear titles, but execute nothing. The weekend I spent on doing domestic obligations, relaxing, homework and playing and hanging out with the Dittoh family. Sunday I went with them to their local church. This was way more fun than the church in Bolgatanga city I went to last time. I even had the chance to be a witness of some real life exorcism practices. The people here believe that a lot of problems, and that includes also health problems, are caused by being possessed by evil spirits or demons and can be solved by accepting Jesus Christ as your one and only Savior and pray a lot in addition. For the upcoming week I will keep myself mainly occupied with preparing my departure back to Holland, travelling, getting back home and continue with data analysis. I will get in touch with my dear colleague Awa Gossa Lô and will see her as soon as possible in order to work further on our ICT4D hardware tool. This week a learned that time is not of the essence here in Africa. I knew this beforehand, but it is always different if you experience it yourself in real life. On the one hand it could give you a lot of relaxation and freedom, but if you are a control freak like me who loves time and most important being on time it could also cause a lot of stress. This week I learned to let go the essence of time once in a while. In August 2013, VU Msc. student Kasper Brandt finished his thesis on developing, implementing and testing a Linked Data model for the International Aid Transparency Initiative (IATI). Now, more than a year later, that work was accepted for publication in the Journal on Data Semantics. We are very happy with this excellent result. IATI is a multi-stakeholder initiative that seeks to improve the transparecy of development aid and to that end developed an open standard for the publication of aid information. Hundreds of NGOs and governments have registered to the IATI registry by publishing their aid activities in this XML standard. 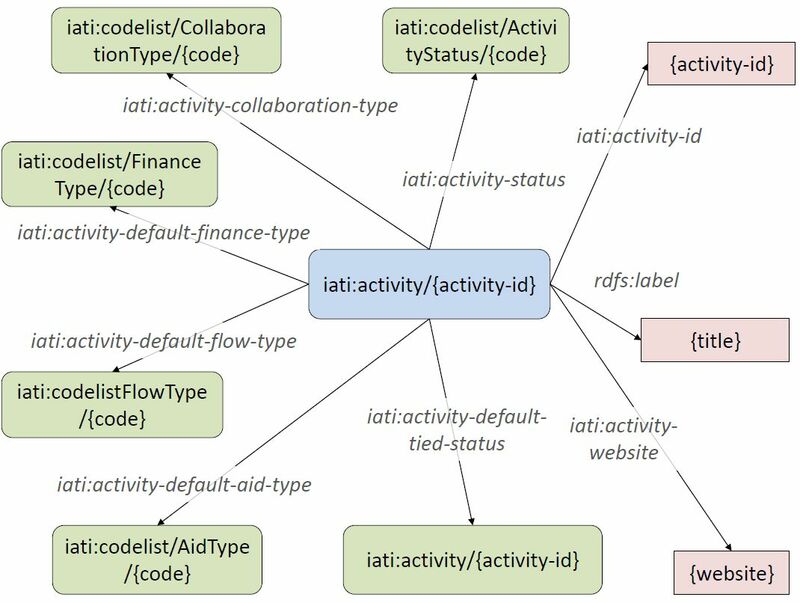 Taking the IATI model as an input, we have created a Linked Data model based on requirements elicitated from qualitative interviews using an iterative requirements engineering methodology. We have converted the IATI open data from a central registry to Linked Data and linked it to various other datasets such as World Bank indicators and DBPedia information. This dataset is made available for re-use at http://semanticweb.cs.vu.nl/iati . To demonstrate the added value of this Linked Data approach, we have created several applications which combine the information from the IATI dataset and the datasets it was linked to. As a result, we have shown that creating Linked Data for the IATI dataset and linking it to other datasets give new valuable insights in aid transparency. Based on actual information needs of IATI users, we were able to show that linking IATI data adds significant value to the data and is able to fulfill the needs of IATI users. A draft of the paper can be found here. Two weeks ago, we organized a third edition of the Downscaling the Semantic Web workshop (DOWNSCALE2014). We presented the results at the Open Development Camp in De Balie. Christophe Gueret wrote a comprehensive blog post about both events. People in developing countries cannot access information on the Web, because they have no Internet access and are often low literate. 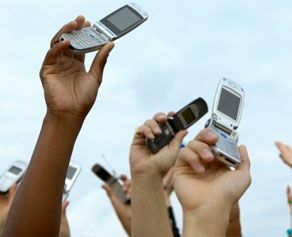 A solution could be to provide voice-based access to data on the Web by using the GSM network. In my master project I have investigated how to make general-purpose data sets efficiently available using voice interfaces for GSM. To achieve this, I have developed two voice interfaces, one for Wikipedia and one for DBpedia. I have made two voice interfaces with two different kinds of input data sources, namely normal web data and Linked Data, to be able to compare them. To develop the two voice interfaces, I first did requirements elicitation from literature and developed a user interface and conversion algorithms for Wikipedia and DBpedia concepts. With user tests the users evaluated the two voice interfaces, to be able to compare them on speed, error rate and usability.